World News – If you are in the path of Hurricane Michael you might not want to ride this one out. The Hurricane had increased to a category and the path is headed right towards Florida. Hurricane Michael is headed for a catastrophic, unprecedented Category 4 strike on the Florida Panhandle and Big Bend with a massive storm surge and over 100 mph winds possible not just near the coast, but also inland that could leave some areas without power for over a week. No longtime residents of this area will have seen a hurricane this strong before. As the National Weather Service in Tallahassee emphasized early Wednesday, this morning is the last chance to get to a safe place in the Florida Panhandle and Big Bend hurricane and storm surge warned areas. Michael is currently centered about 120 miles south-southwest of Panama City, Florida, and is moving northward. Rain has already moved into the Florida Panhandle with some locally heavy squalls. The eye of Michael can be clearly seen from the National Weather Service Doppler radar at Eglin AFB, Florida. 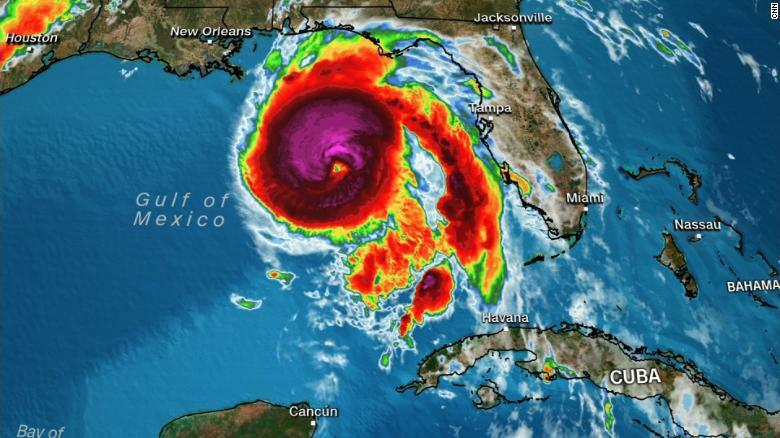 A hurricane warning is posted for the Florida Gulf coast from the Alabama/Florida border to Suwanee River, Florida, including Pensacola, Panama City, Destin and Tallahassee. The hurricane warning also extends inland to southwestern Georgia, including Albany. Hurricane warnings are issued 36 hours before the anticipated arrival of tropical-storm-force winds (39-plus mph), which is when outside preparations become dangerous. Those along the northeastern Gulf Coast in the path of Michael should be finished with preparations. There are only precious few hours left to get out if you’re in an area that has been ordered to evacuate. Follow the advice of local officials if you are ordered to evacuate, particularly if you live in a storm-surge-prone location.